November 27 – Sometimes life can really get you down. Arrest in your tax haven home, suspicion you have been turned over to the tune of $1 billion in a series of fraudulent art deals, and seeing the football club you rescued from bankruptcy sitting next to bottom of a league you were at the top of a year ago would be enough to make even the most happy clappy Russian billionaire a little fed up. Not so for AS Monaco’s birthday boy Dmitry Rybolovlev (pictured second left). Rumours of his lifetime incarceration and confinement to his home premises were put to the sword with a flying visit it his football club’s Monaco training ground to meet with manager Thierry Henry and speak to the squad on Sunday, the day after the club’s life affirming 1-0 win in Ligue1 against Caen. “Rybolovlev, accompanied by Vice President Vadim Vasilyev, entered the Rouge et Blanc training ground. Along with Thierry Henry and the sports director, Michael Emenalo, the two men greeted the entire group who was victorious the day before in Caen,” said the club’s website. But even knights with shiny new money riding in to save the day can fall foul of critics. The media circus surrounding the Russian billionaire gathered pace with all the intrigue surrounding Rybolovlev with suggestions he was forbidden to leave the country followed up by rumours he had run back to the safe haven of Russia. In fact he was in Russia on a pre-planned trip and to celebrate his birthday, according to Dmitry Chechkin, a spokesman for Rybolovlev. 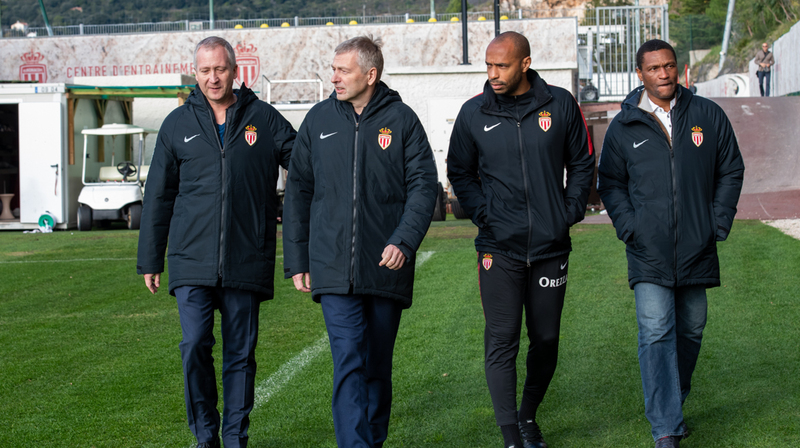 “Dmitry Rybolovlev today attended AS Monaco FC’s team training session at La Turbie training center and congratulated the players and coach Thierry Henri on their victory over Caen FC in yesterday’s match. Mr. Rybolovlev believes this victory demonstrates the strength of the team and its ability to win despite recent difficulties on the pitch,” he said. And Thierry Henry’s gift of three points in the league should solve any issues for managers wondering what to get their own Russian billionaire bosses for their birthday.